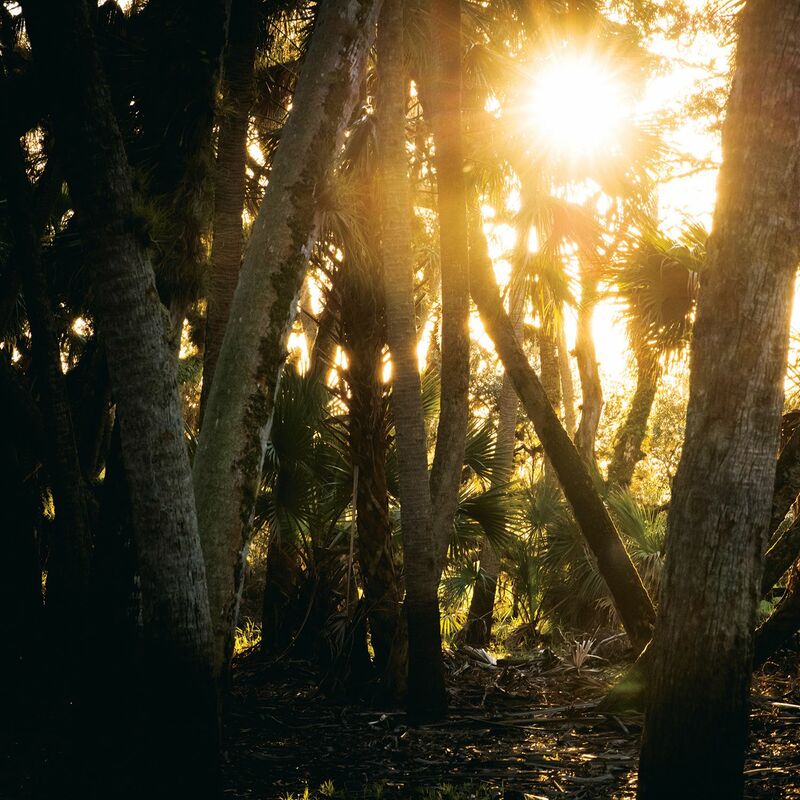 SARASOTA HAS LONG BEEN DEFINED by its ultra-white sandy beaches and glittering sunsets. 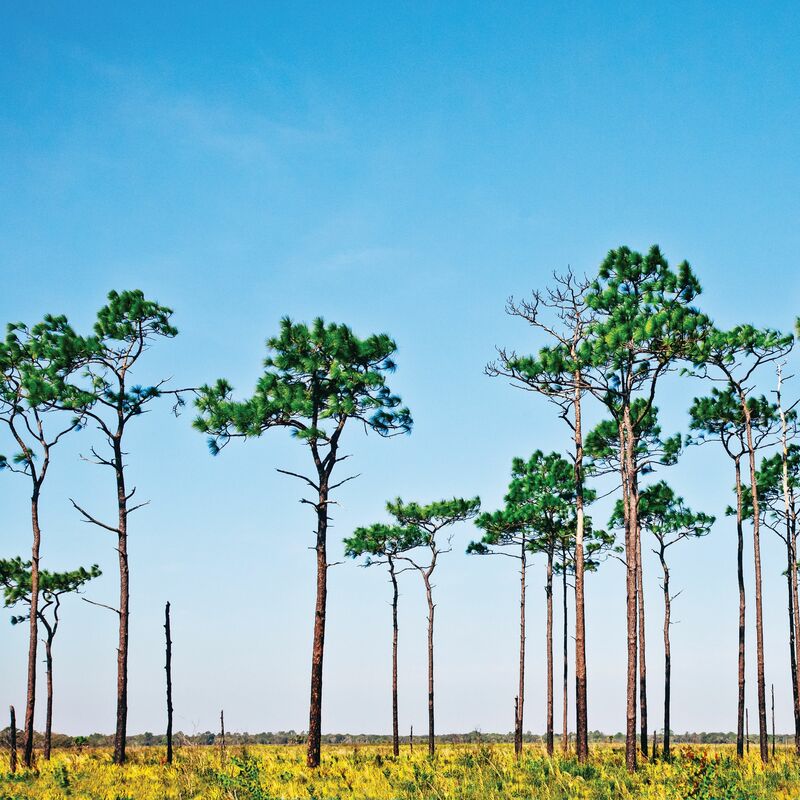 But just nine miles east of I-75, you’ll find an environment just as beautiful, an enormous swath of primal Florida that’s alluring, exotic—and sometimes savage. 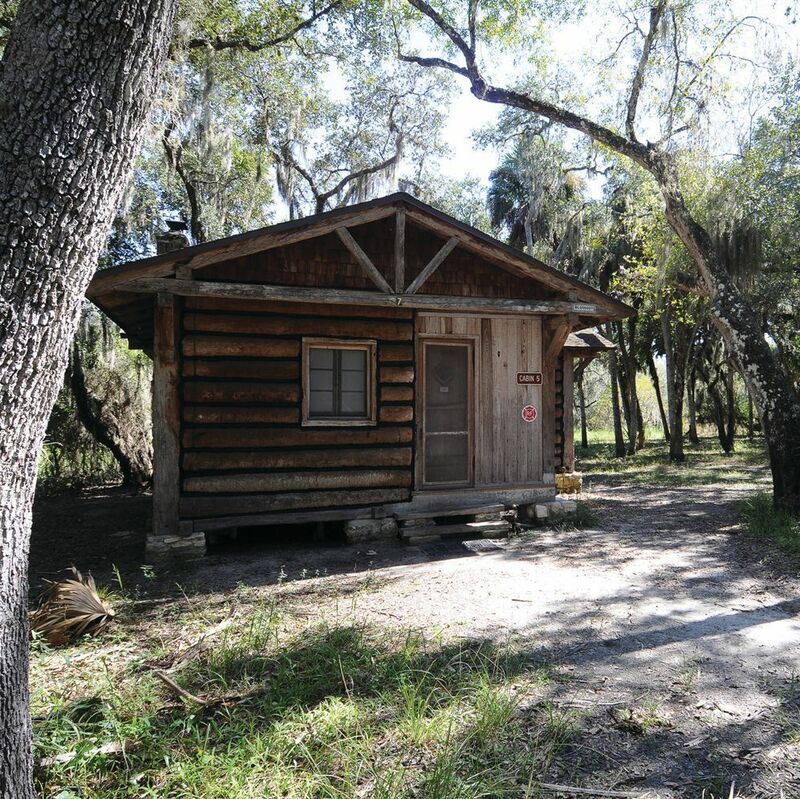 Established in the 1930s, Myakka River State Park is Florida’s largest state park, sprawling over 58 square miles. 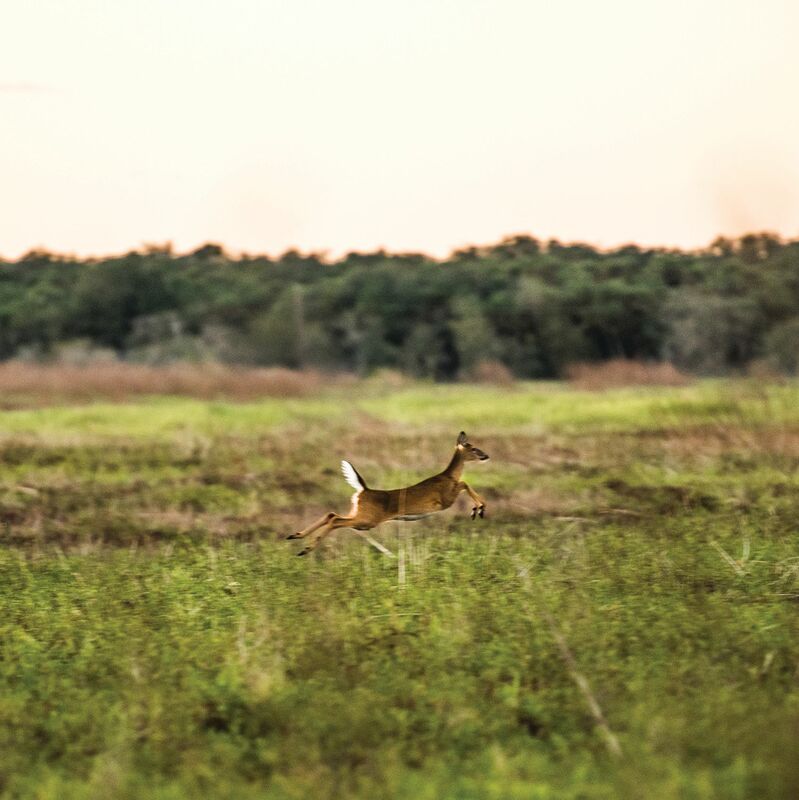 Its 37,000 acres of unspoiled wetlands, prairies, hammocks and pinelands teem with plant and animal life. 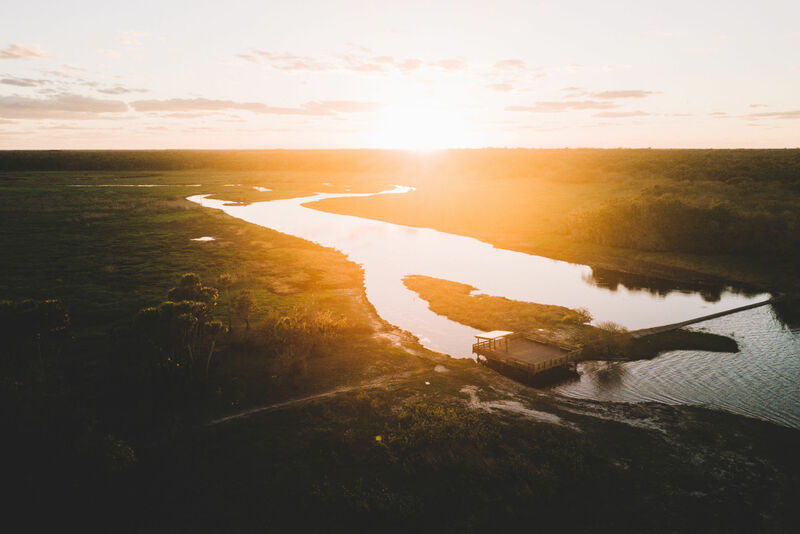 The Wild and Scenic Myakka River runs through the park, its dark tannic waters flowing through bottomland swamp and freshwater marsh and spilling into lakes and sinkholes. 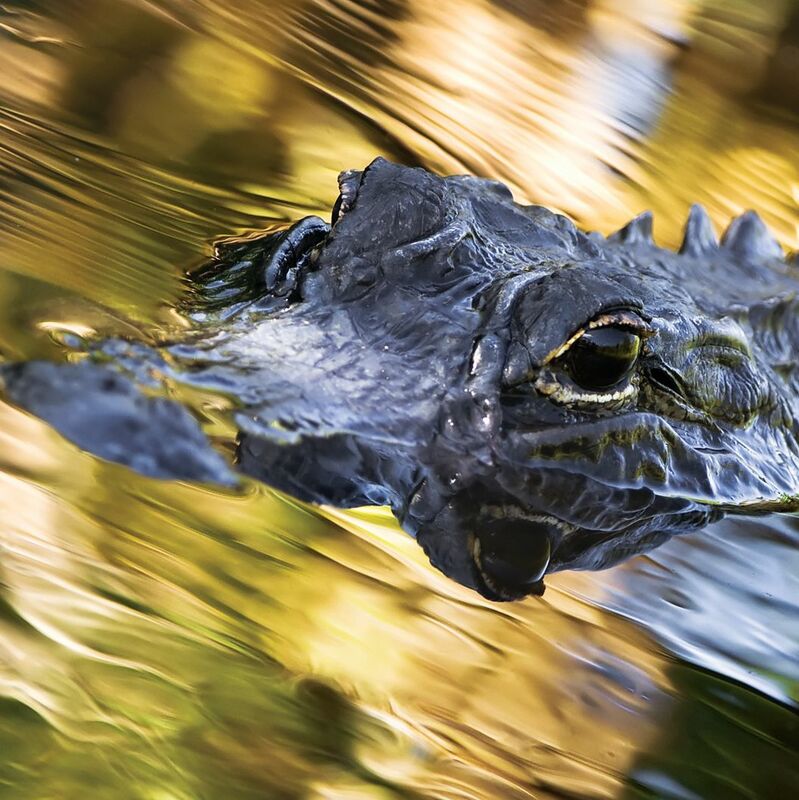 Alligators, turtles and cottonmouths swim in the river. Herons, cranes and limpkins strut through its shallows, feeding in the muck. In the rainy season, the river rises and floods large swaths of the park; in the dry months, it shrinks and wildlife again lines its banks. Many locals and visitors know the park at least a little. 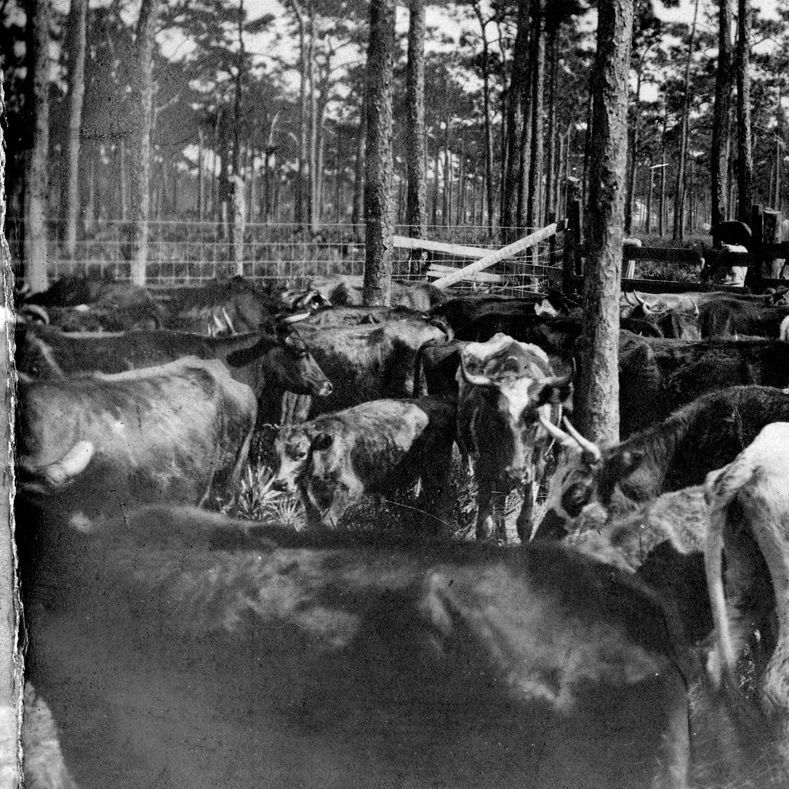 They’ve cruised the main north-south roadway, spotting alligators and deer. 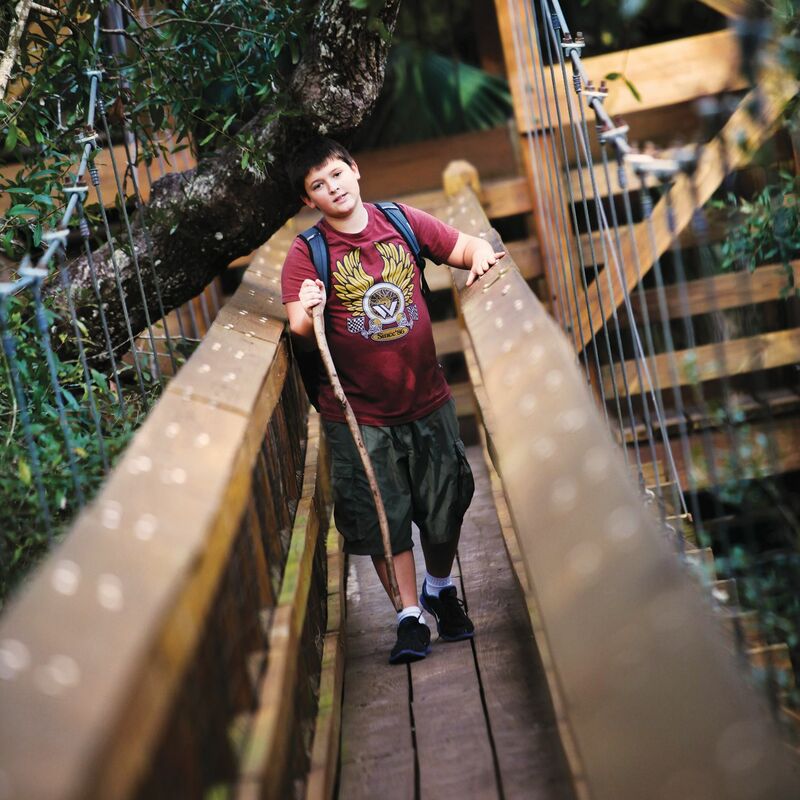 Many have taken a spin on the Upper Myakka Lake aboard the Gator Gal or Myakka Maiden airboats, or strolled the canopy walk suspension bridge. You can go home satisfied after any of those experiences. But only when you step away from the main attractions do the park’s enormity and beauty come into focus. You’ll discover a world that seems centuries away from the chatter and congestion of modern life. 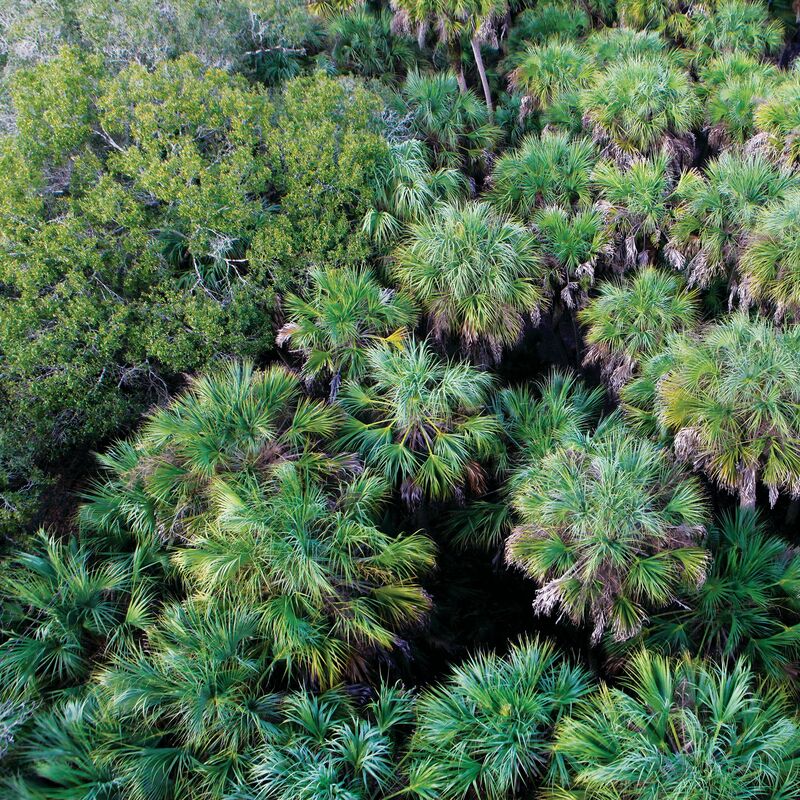 Bike or horseback ride through the vast, dry prairies, where service roads cut through gnarled landscapes of saw palmettos. 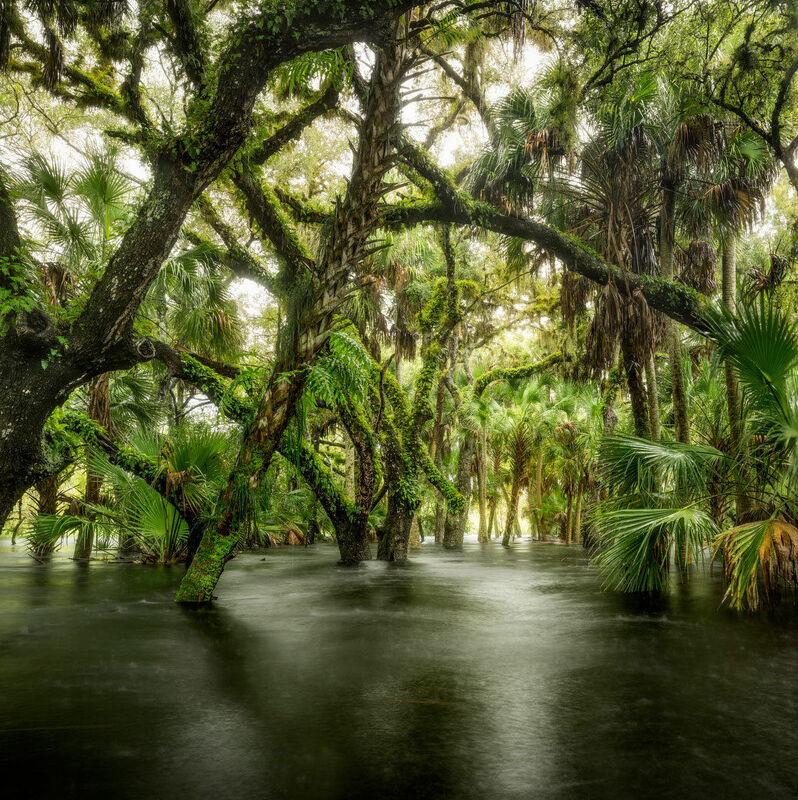 Or venture to Deep Hole, a sinkhole where more than a hundred alligators can congregate in the spring. Camp. Fish. Kayak. Wherever you go, you’ll find seclusion and natural splendor. You can go a dozen times and not see everything. “It’s a special place.” We kept hearing that as we worked on this story. We heard it from rangers and volunteers, river guides and tour operators, and park visitors from all across the country. And we learned that for ourselves as we left behind our cell phones and computers to hike, kayak and marvel at the park.